Oilholics Synonymous Report: Merry Christmas & a few crude notes! Yes! 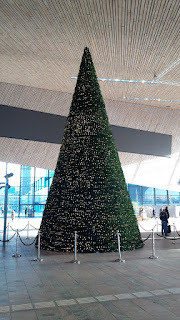 Its that time of the year to wish you the dear readers of this blog the joys of the season and a very Merry Christmas, as another eventful year comes to a close. The Oilholic has been busy these past few weeks scribbling one's crude notes on oil market affairs for the International Business Times UK and Forbes. For starters, here is this blogger's take on US President-elect Donald Trump's nomination of ExxonMobil CEO Rex Tillerson as his Secretary of State. When the news emerged, as usual there were oversimplifications in the media, saying the nomination had much to do with Tillerson being close to Russian President Vladimir Putin. However, the Oilholic believes there's much more to the appointment; Tillerson for intents and purposes would be a formidable top US diplomat, not just Putin's mate. Additionally, here is one's commodities market year-ender, and some predictions on gold, silver and of course crude oil for 2017. Finally, here are some reasons - as outlined on Forbes - for why methinks the oil price might not rise further beyond $60 per barrel in 2017, as there is limited upside to such an an occurrence over the next 12 months. That's all on Christmas day folks! Keep reading, keep it Christmasy and 'crude'! © Gaurav Sharma 2016. 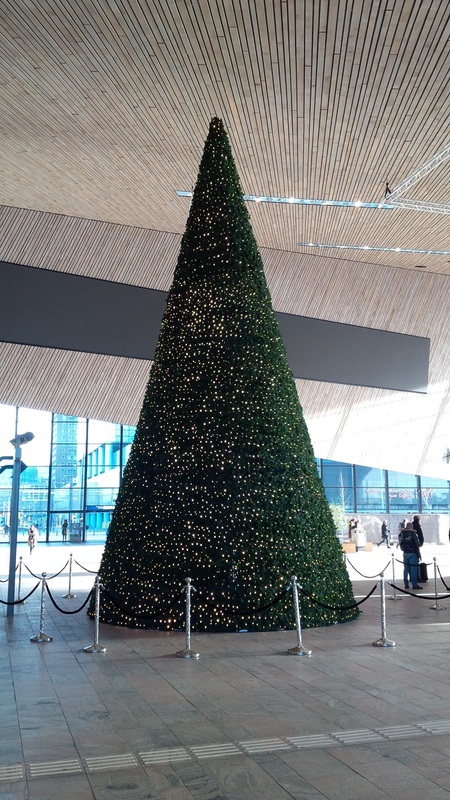 Photo: Christmas tree at Rotterdam Station, The Netherlands © Gaurav Sharma.